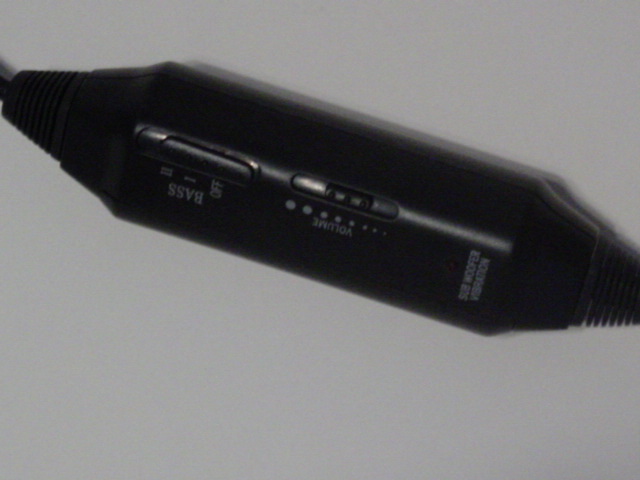 A+ GPB Enterprises Inc PCM-HSS168 Headphones (Audio) [Page: 1 of 2] - TACKtech Corp. Some think all headphones are pretty much the same, but this is far from true. 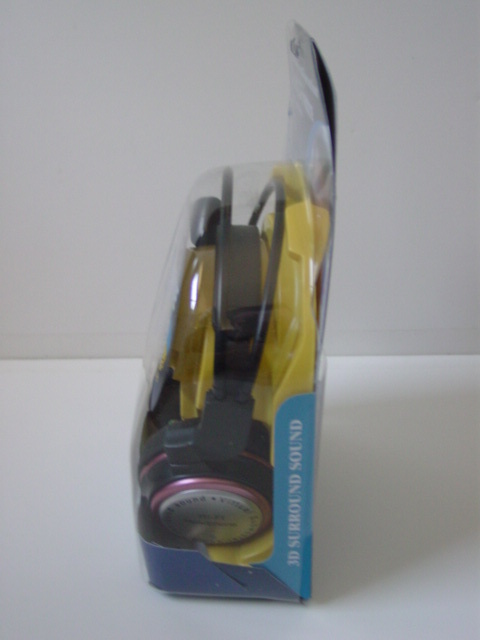 Now, we have a look at A+ GPB Enterprises Inc PCM-HSS168 headphones. These headphones have plenty of features to satisfy even picky listeners. Headphones; crucial for anyone attending LAN parties. Some think all headphones are pretty much the same, when they are actually far from it. 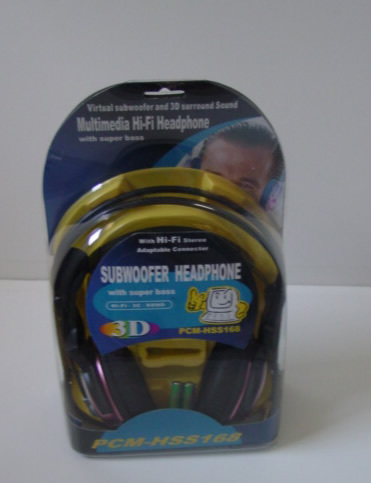 Now, we have a look at A+ GPB Enterprises Inc’s PCM-HSS168 headphones. These headphones have plenty of features to satisfy even picky listeners. Some of the features include virtual subwoofer and 3D surround sound, closed design for sonic isolation, 30mm drivers for deep bass response, powerful neodymium magnets, stylish Hi-Fi design, and volume and bass control. These headphones appear to be constructed fairly well. We start off with the cups of the headphones which are silver and pink. The cups of the headphones are very nice as they are padded, so they don’t hurt your ears after wearing them for hours, like at LAN parties. The cups also swivel up and down a little, which allows it to adjust to the shape of any head. Now we move on to the microphone, the microphone extends approximately 6.5” from the cups. This microphone is also padded like in an attempt to remove background noise such as wind. As we move on to the top part of the headphone I notice there’s a nice feature for conforming the headphones to fit your head. This feature extends or pulls as the top of your head comes in contact with it which is a nice feature from the usual ones where u adjust the size of the headphones your self. 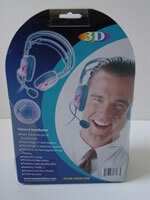 As we move on to the controller of these headphones mounted on the wire of your headphones. This feature allows you to adjust the volume and to adjust the bass level (Off, 1, 2). These headphones run on 2 AAA batteries (included). There is also a little red LED that says subwoofer vibration which will light up when you have your bass on. There are 2 connectors for the headphones, a connector for your microphone and for your head phones. The microphone’s connector is a tangerine color whilst the other connector is a lime green color.